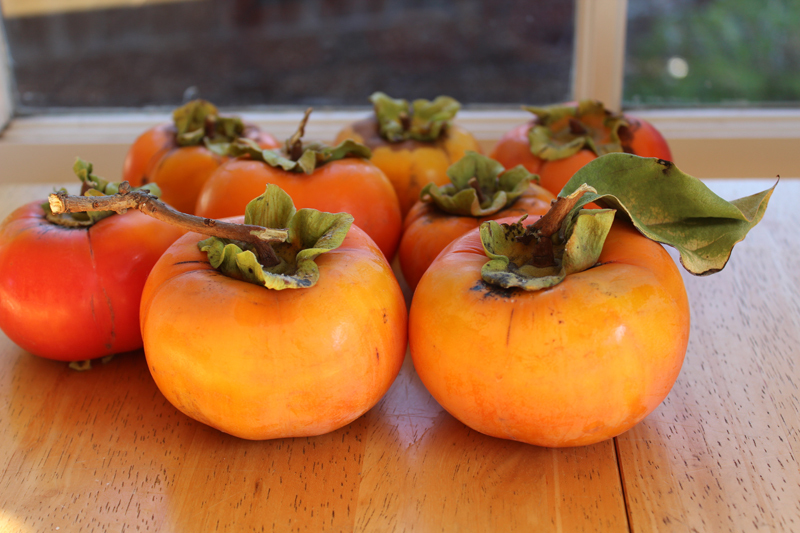 Have you ever had a fuyu persimmon? There are two kinds of persimmons that I know about: the acorn-shaped ones called Hachiyas, and the pumpkin-shaped ones called Fuyus. The Hachiyas are really beautiful, and they are meant to be eaten when they are super soft and mushy - like basically when they turn into pudding on their own. Where I live, there are persimmon trees all around town. They are beautiful trees, and they are even more beautiful when they are covered with beautiful, bright orange fruits. At first the leaves are green, then they start to turn orange, and then they eventually fall to the ground... leaving the orange fruits hanging like Christmas ornaments. It's all really great, except that I don't really like that kind of persimmon. The other day I was walking the dogs and passed a big bucket on the sidewalk filled with persimmons - with a "FREE" sign next to it. Even though I don't really enjoy the mushy persimmons, I can't resist free fruit and put one in each pocket of my jacket and wobbled home with my persimmons. I cut one up and put it in my yogurt... and at first it was going well, and I thought maybe I had crossed back into the territory of re-liking these mushy persimmons. But by the end of my little bowl of cereal, I could hardly get it down. That mushy texture is a total deal-breaker for me! My mom tells me that when I was a little baby, I went through a serious persimmon phase, and apparently I was totally nuts about that bright orange mushy stuff back then! This is no longer true. 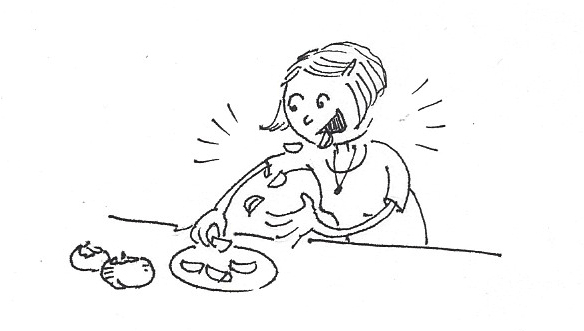 Luckily though, Fuyu Persimmons also exist - and they are awesome when crunchy! I usually just slice them up like an apple and eat the little wedges. Or I dice them up and add them to my yogurt (with greater success than the other kind). These persimmons don't seem to be quite as common place around these parts, and I have certainly never walked past a bucket full of free fuyus. Alas! If I did, I would clear that bucket out! Stuff all my pockets! stuffing my mouth, grown-up style! I really love these crunchy little beauties. I love the flavor, the color, and the texture. In fact, they are quite forgiving - because they're good when they're quite crisp and also when they have softened up a fair amount. Most fruits have a more narrow "delicious" window than that! Long live the Fuyu! Fuyu's are the best! I fell in love with them in California too. I've never successfully tried Hachiya. The first and only time I tried one, it was under-ripe, and my mouth felt like it had been filled with chalk. Since that experience I've stuck with the fuyu, where you can never go wrong! Crunchy or soft, they're always delicious. I've never had a persimmon!! I only recently heard about fuyus (like this weekend on Our Hen House! ), so I need to seek those out. The other mushy kind never sounded appealing to me. I love persimmons! I've never tried a Hachiya since the Fuyu type are the only kind I've seen around here, though they're imported too unfortunately. I eat mine just the way you do! you've inspired me to give persimmons a try! I've also never tried a persimmon but bought them with a friend randomly in NYC Chinatown once and he just ate them like an apple. 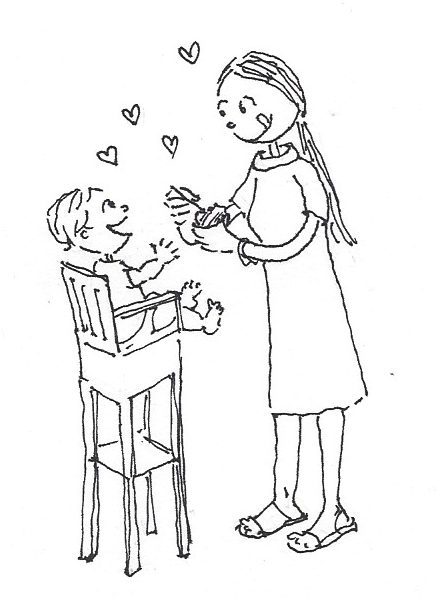 At least there is your Grandma's persimmon bread recipe to use some of them up - that is a good recipe! I LOVE the hachiyas. Soft yummy sweet pudding-like deliciousness. I didn't even realise there were two types! In the UK, the only type we get imported are the Fuyus (I didn't realise that until now!). I've never tried eating them whilst crunchy - I love it when they're all soft and gooey and sweet. Yum! I didn't know there were two types! I think the first and only time I have had persimmonswas when I was in Italy. I didn't know what they were or how I was supposed to eat them, but I ate them nonetheless. They were decent, but not my favorite. Perhaps they weren't ripe.